Logic puzzles and riddles have always been a fascinating subject for a lot of people! However, it seems that we often overestimate our own math skills. For some, it comes naturally; others must think thoroughly before coming up with an answer. But this math equation blew many people's mind and confused even the sharpest minds. Randall Jones suggested a math puzzle for Facebook users, and it simply graveled everyone. The equation consists of four lines with adding numbers and results. The last line does not suggest a solution, though. Do not check the answer right away, take your time to study and think the matter over. Among the 3.1 million comments from people from over the world, the majority of people suggests two answers: 40 and 96. Let’s see why both these variants are acceptable. You just have to use different logic strategies while solving the riddle. In this case, people added the results of the line to the next line, so they got this pattern in the end. There was one more popular answer based on the different numeral systems, including the decimal and quinary systems. Then, no additional math operations are needed, and you just translate the numbers. The third right answer is 201. Did you come up with 40 or 96 or 201? 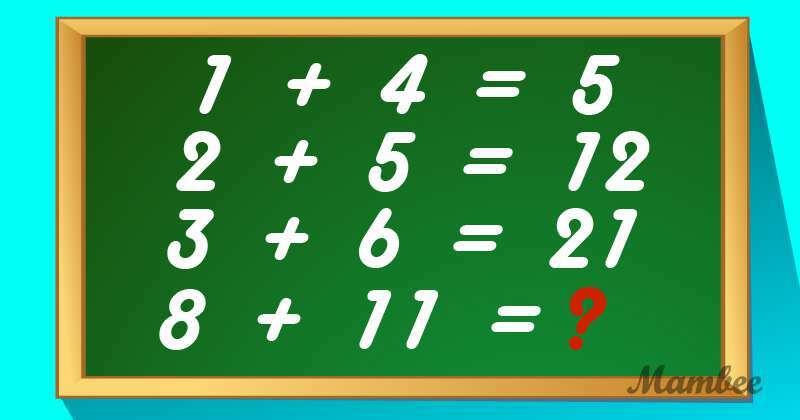 Or maybe you have found another solution as for solving this math riddle? Share your guesses in comments below. Are you searching for more funny ideas? Here is how you definitely can entertain yourself with drawing. Enjoy!